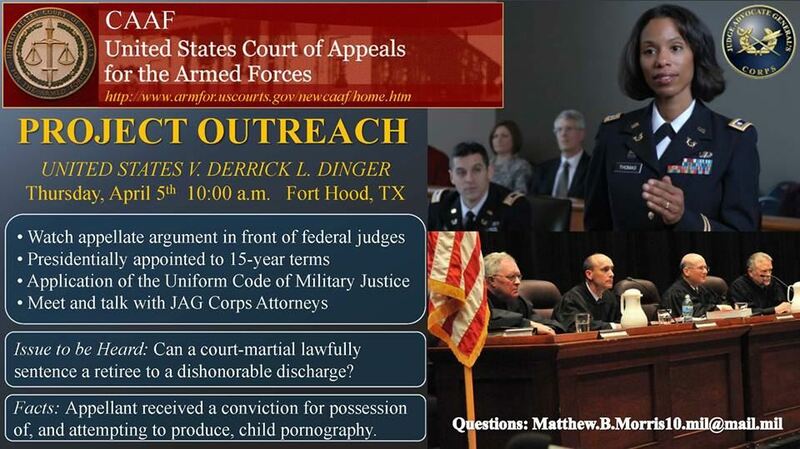 The United States Court of Appeals for the Armed Forces will be hearing appellate arguments in a case at Fort Hood and the public is invited to observe. 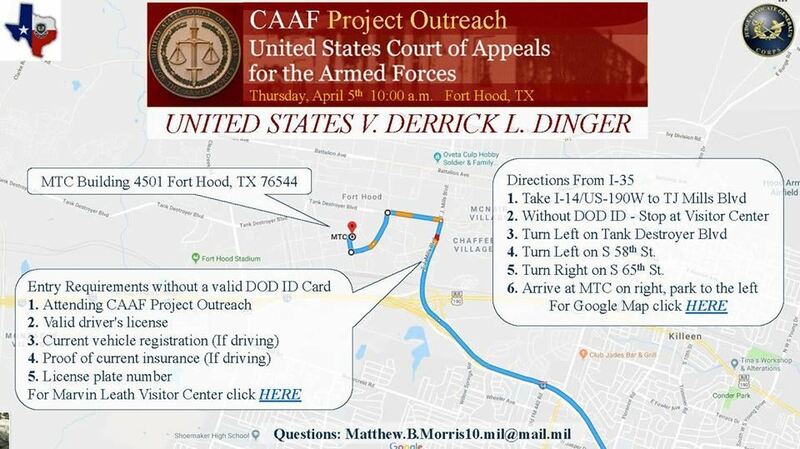 If you'd like to join the Fort Hood Legal Community at this unique opportunity, the date is Thursday, April 5th beginning at 10:00 a.m. The location is MTC Building 4501 Fort Hood, Texas 76544.